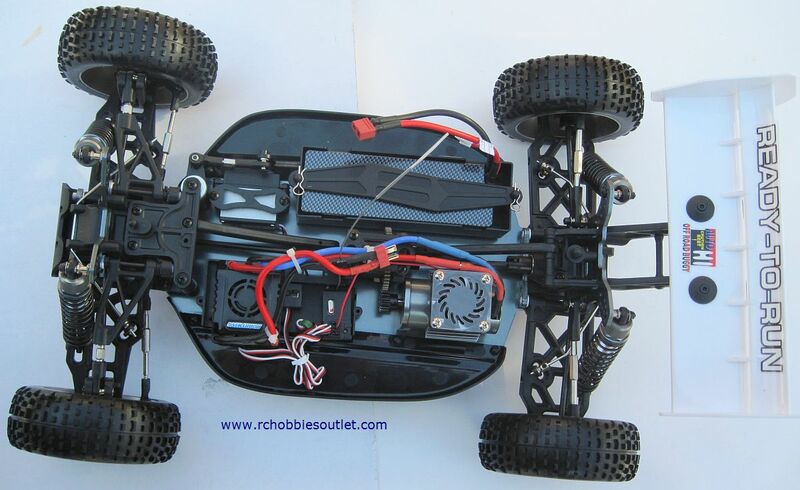 Straight out of the box this RC buggy goes hard leaving lesser powered RC buggies in its dust. 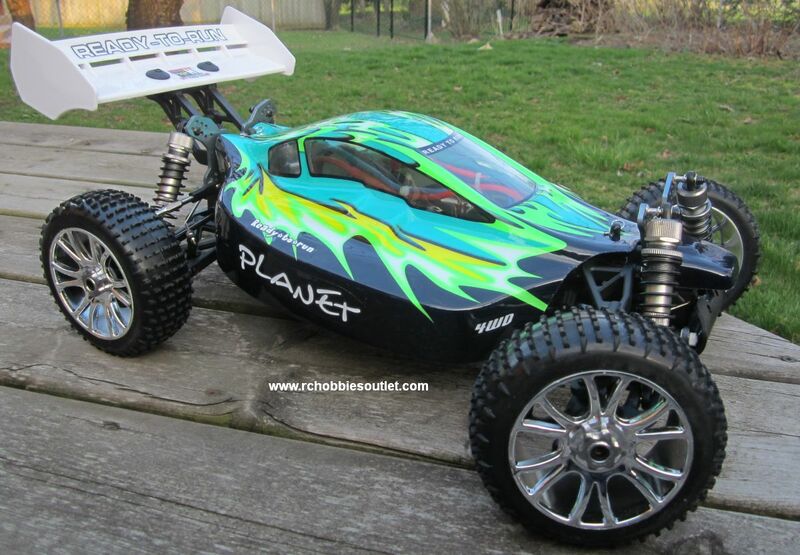 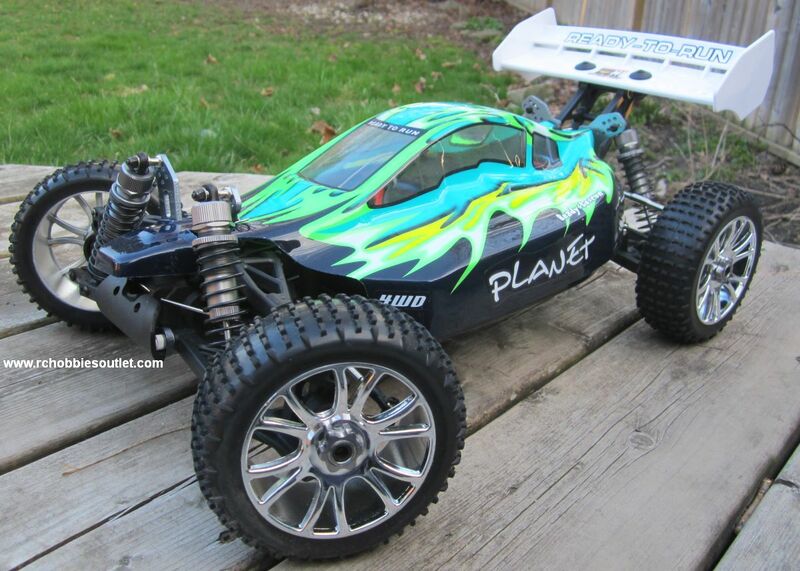 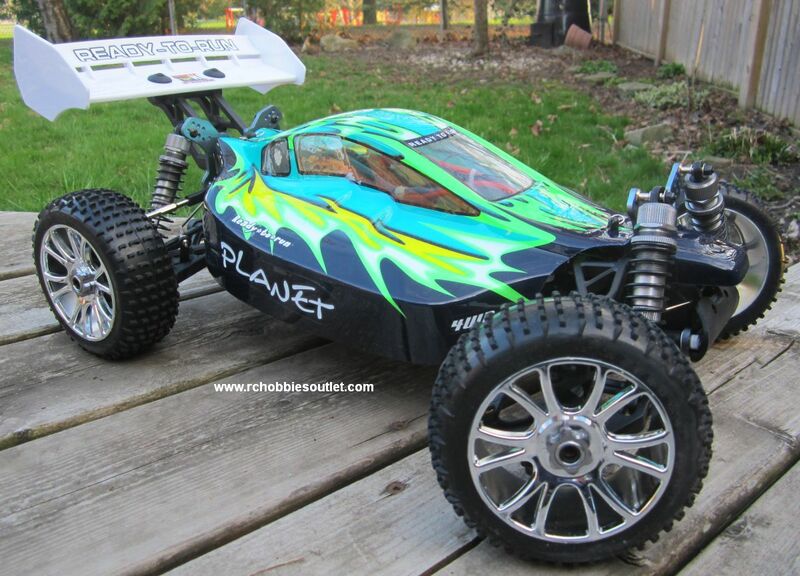 This is a powerful, fast 1/8 Scale Electric Buggy and its built tough to take it. 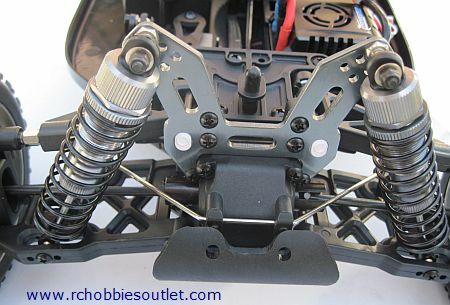 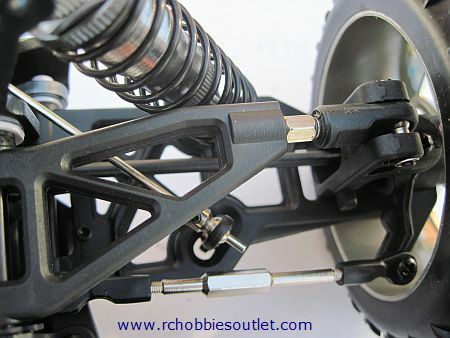 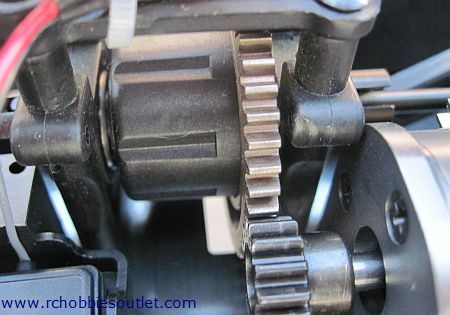 The new Top2 Brushless Version has many familiar and new features like Coil Over all metal Oil Filled Shocks, Ultra Durable Countersunk Aluminum Alloy Chassis, Fully Proportional Braking, Forward, Reverse, Full Ball Bearings and Specifically Designed All-Terrain Tires, Alloy Chassis, Alloy Shock Towers, 3 metal gear sealed Differentials, Splash Guards and a 15KG Metal Geared Steering Servo. 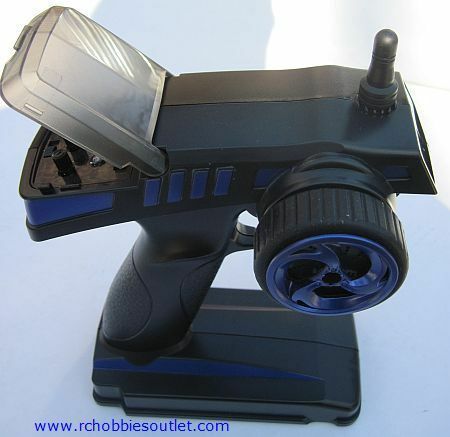 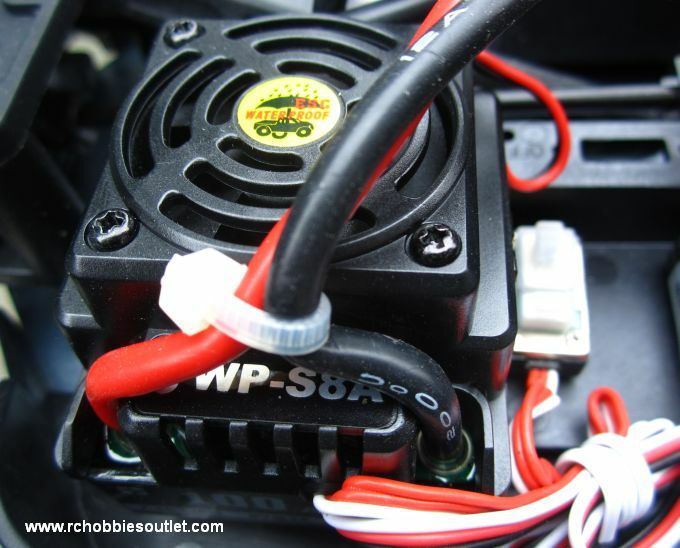 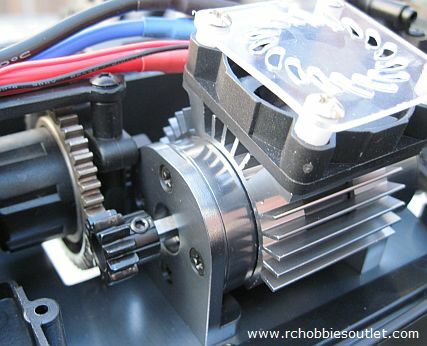 This great looking TOP2 version comes with a 11.1v 3900 mah LiPO batteries the delivers more power for substantially higher speeds and acceleration. 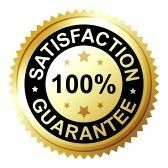 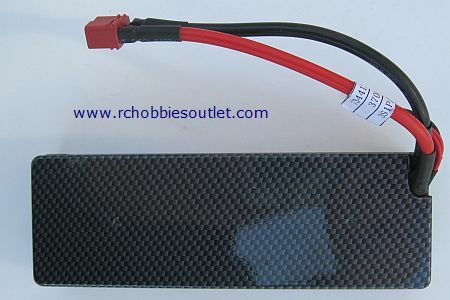 As an added bonus LiPO batteries last longer than comparable NiMH batteries.